Jetlag recovered, the first stop on the wine itinerary was Chablis. I suspect due to pre-conceptions of cold winters and frost, I had always thought of Chablis as being a little north of Paris, notwithstanding I know France reasonably well. In fact, it is a roughly 2 hour drive south-east of Paris, which made me particularly unsuited to offering sensible direction. The town of Chablis itself is picturesque, although smaller than I had anticipated; only 2000 people are tucked away here. 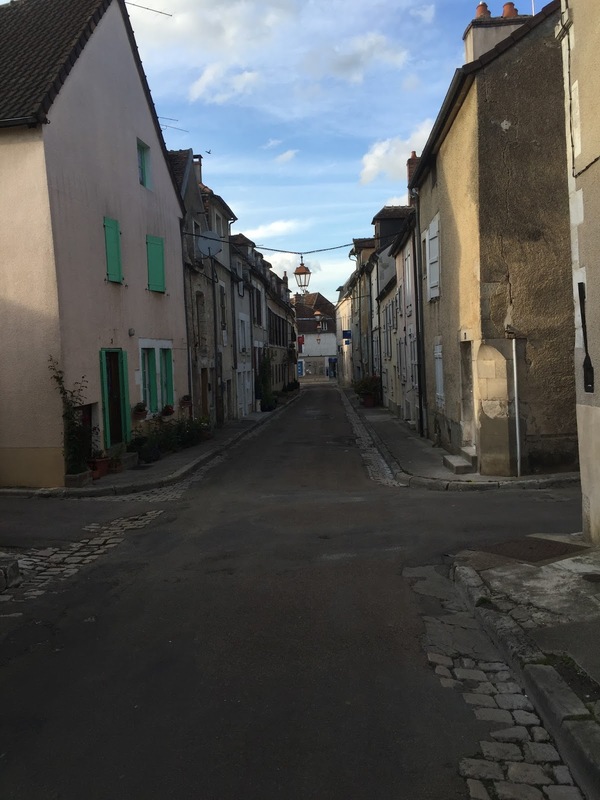 So small in fact, despite its world renown, it resembles one of those many beautiful French rural towns that one passes through without not quite knowing what keeps the place going, except of course Chablis is a centre of, and known throughout, the wine world. A quiet walk in Chablis. The trip crew was expertly led by Robin Kinahan MW and I joined in together with some very able members of his team. The first stop in Chablis was lunch, this being France after all. And should you be in Chablis for lunch, I can wholeheartedly recommend the food of Bistro des Grand Crus – its unassuming appearance proved a neat foil for some piping hot and delicious fish (féra). The very good La Chablisienne Les Vénérables AOC Chablis 2010 was well matched, with aromatics of stone, and soft touches of nectar and orange blossom. Its palate was medium bodied palate, with good acidity, medium length and nectar, orange blossom and, with air, lees characters. The unassuming Bistro des Grand Crus. The principal activity of the day resolved to a vineyard exploration and tasting with the energetic and knowledgeable Hervé Tucki of La Chablisienne. What Hervé does not know about Chablis, its vineyards and wines is not obvious, and he is particularly passionate about the contribution of the region’s soils and climate to wine quality, which I will get to shortly. As an interim step though, I thought it interesting to note Hervé’s view that he does not regard chardonnay as something produced in Chablis, but rather regards the wines as “Chablis”, “Petit Chablis” or a particular Chablis Premier Cru or Chablis Grand Cru or perhaps even just “Kimmeridgian” or “Portlandian”. This terroir first ethos arose time and time again on this trip. And honestly, as well as finding Hervé incredibly knowledgeable on Chablis wines and terroir, I could see his point. Many of the wines resembled each other more closely than they resembled the breadth of chardonnay styles from Australia’s regions, and even the grape’s expression did not immediately remind of the more obvious expressions of the grape variety. The terroir first ethos is consistent with my own view that there is substantial merit in the search for genuine regional expression in Australia’s wine regions. Which neatly brings me to another misconception on my part. A discussion of Chablis soils and subsoils is certainly a bit easier on site. The identification of particular types of limestone is not for example a particularly arcane pursuit when they are right in front of you, in volume. 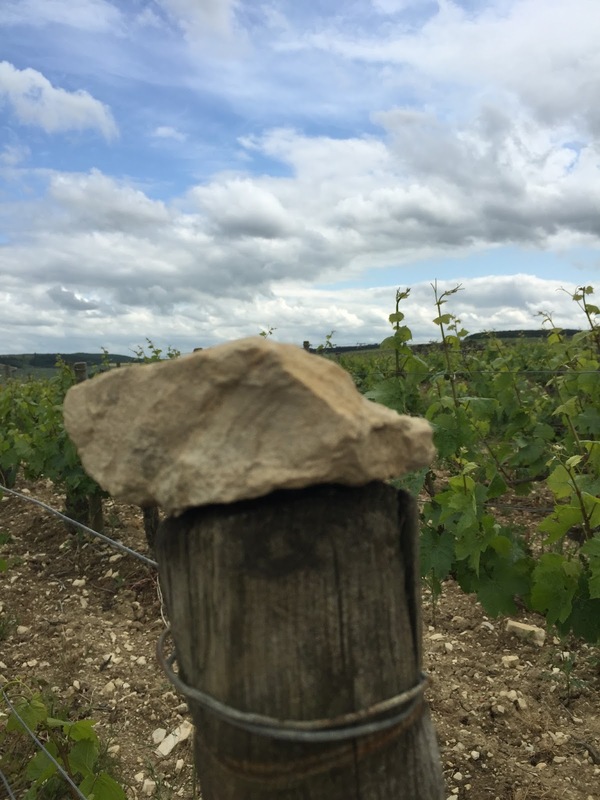 Despite their elegant appearance, the smoother prettier stones proved to be the Portlandian limestone – generally held in slightly less esteem (for Chablis wine) than the Kimmeridgian limestone. The Kimmeridigian limestone, despite the reputed elegance it brings to Chablis wine, proved visually to be of rougher appearance. Here, the Jurassic oyster shells in the Kimmeridigian limestone are particularly obvious. The boundaries between the soil types are less ordered than might otherwise be assumed from a wine map or generalisation, but this is a logical outcome when one reflects on the length of geological time involved. It also presents an opportunity to find wines from particular climats that might be overlooked for no fundamental reason. Portlandian limestone on the left-bank. Portlandian limestone on the right-bank. 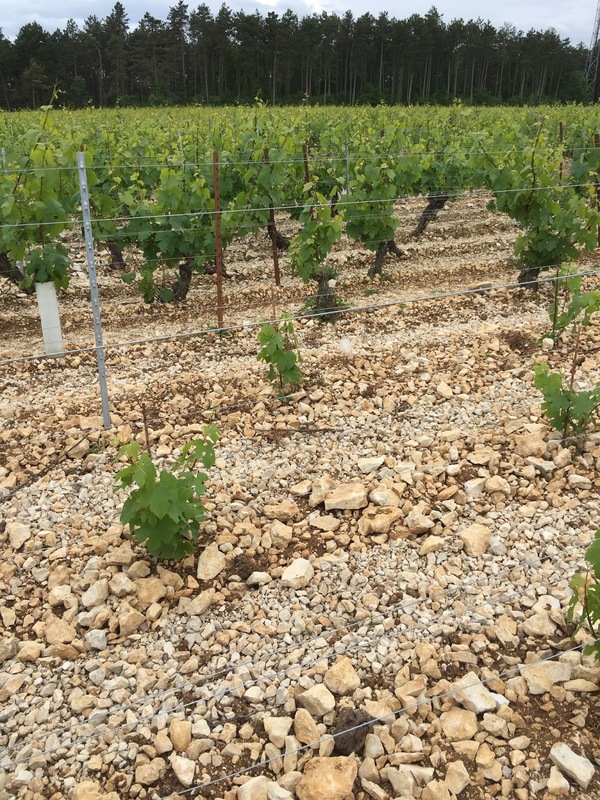 Some Kimmeridgian soils in Grand Cru vineyards. 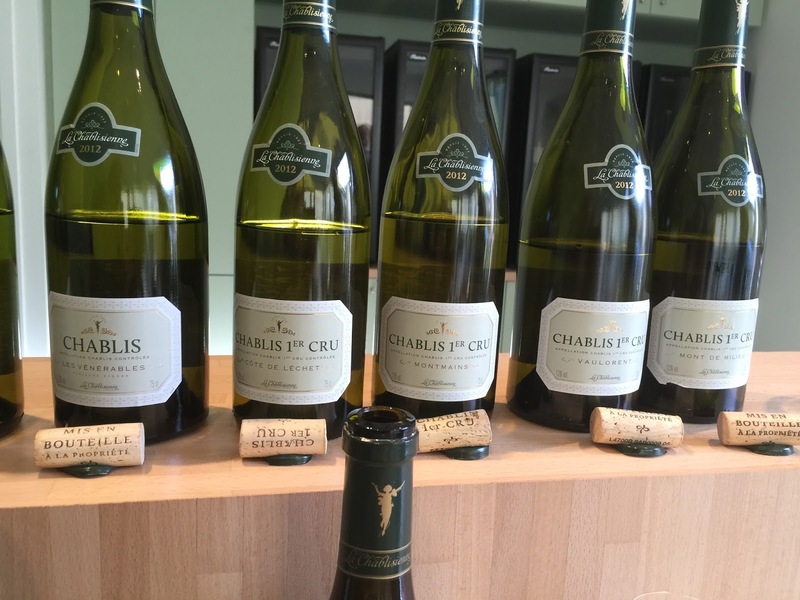 The hierarchy of Chablis’ appellations – Petit Chablis, Chablis, Chablis Premier Cru and Chablis Grand Cru also proved particularly obvious when in the town. 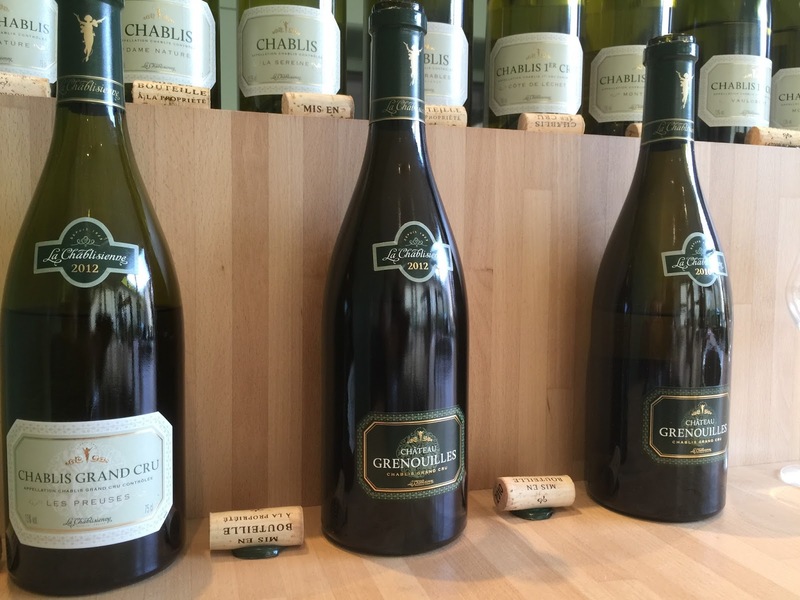 Chablis Premier Cru and Chablis Grand Cru tend to occupy the prime sights and are south west or south east facing. 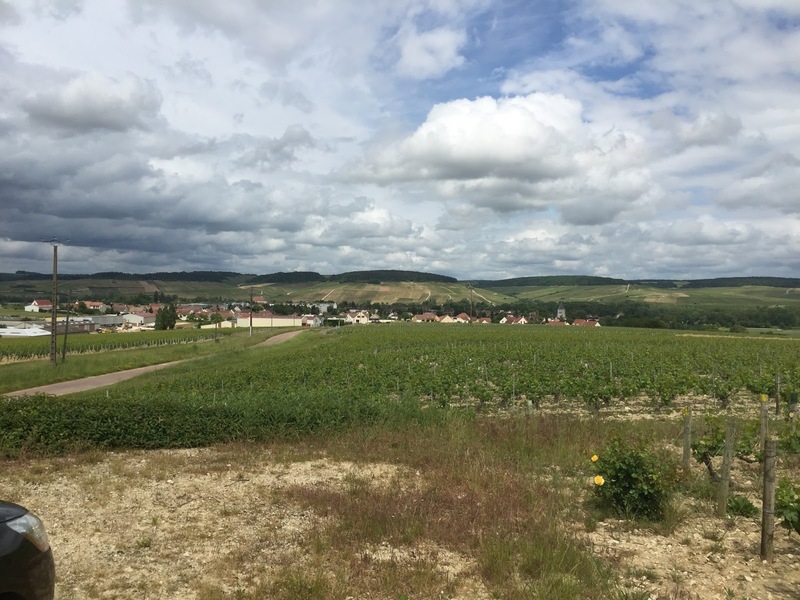 Petit Chablis tended to be “behind the hill” or on the outskirts, while the intersections between Chablis, Petit Chablis and Chablis Grand Cru proved very close in some cases. The famous Grand Crus of Chablis in the distance. “Behind the hill”. 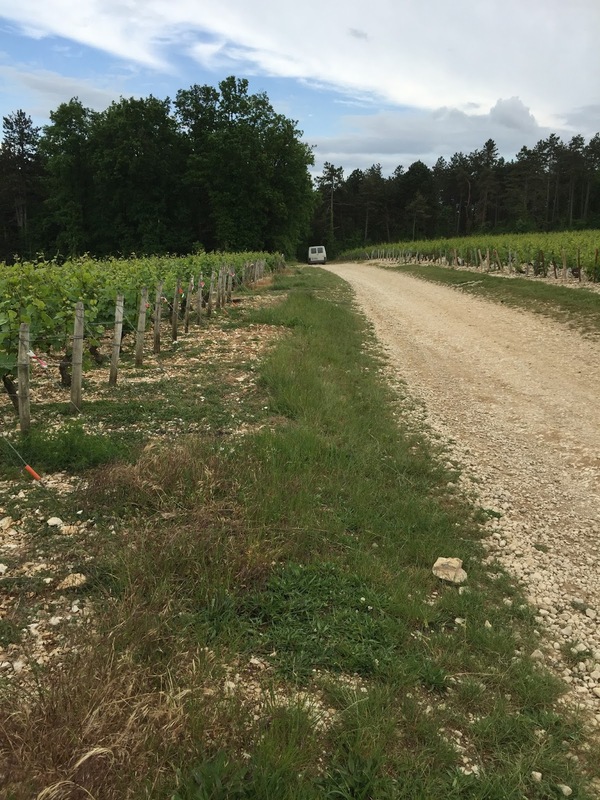 This tiny road divides an AOC Chablis and an AOC Petit Chablis vineyard. 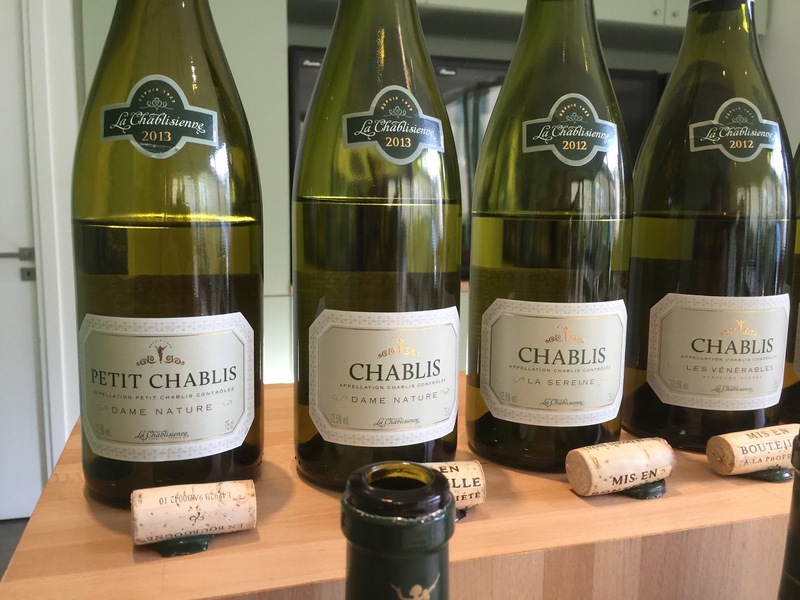 The main producer visited was La Chablisienne, which is the largest cooperative in Chablis. It gives a firm impression of a tightly run outfit with a modern, well equipped, winery. I am writing from my memory, but growers are required to sell all of their produce to the cooperative, and sign up for minimum periods of at least 5 years, ostensibly ensuring both quality of supply and a long-term approach. 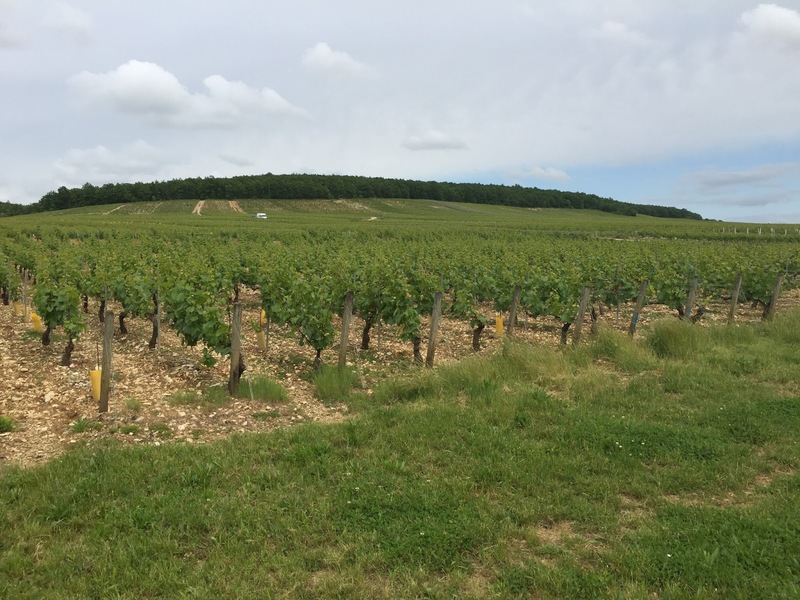 Equally, unlike some cooperatives, La Chablisienne produces wines across all of the large appellations in Chablis – from Petit Chablis through to Chablis Grand Cru. To follow are some short tasting notes from some current and older releases. In each case, it seems that the even years of 2010, 2012 and 2014 perform best, with more elegance and tighter acidity across the palate. I apologise in advance for any errors and misspellings in these write ups; there were a lot of wines, and I do endeavour to be as accurate as possible. I have added an asterisk next to my favourite of each set. The first two wines are organic cuvées that see no oak and 100% malo. The former are grown on Portlandian soils, the latter on Kimmeridgian soils. The first two premier crus tasted are each on the left-bank of Le Serein, the small river flowing through Chablis. Each have a south-easterly exposure, yet they present differently. The second two premier crus are from the right-bank of Le Serein. Vaulorent is just next to Grand Cru, Les Preuses and faces south-west, while Mont de Milieu is absolutely south facing and matures first. And to round things out some Chablis Grand Crus. Most of the Grands Crus are south-west facing and all are on the right bank of Le Serein. For dinner, I can highly recommend the very modern styled menu of Au Fil du Zinc in Chablis, which also boasts a particularly well priced wine list. The “who’s who” of the Chablis wine community appeared to pop in here over the course of an evening. The Vaulorent AOC Chablis 1er Cru 2010 which was the white wine to accompany dinner proved a very good wine, with aromatics that had taken on honey, stone and almost butterscotch characters. The palate is mineral, with medium to long length and a stoney character. 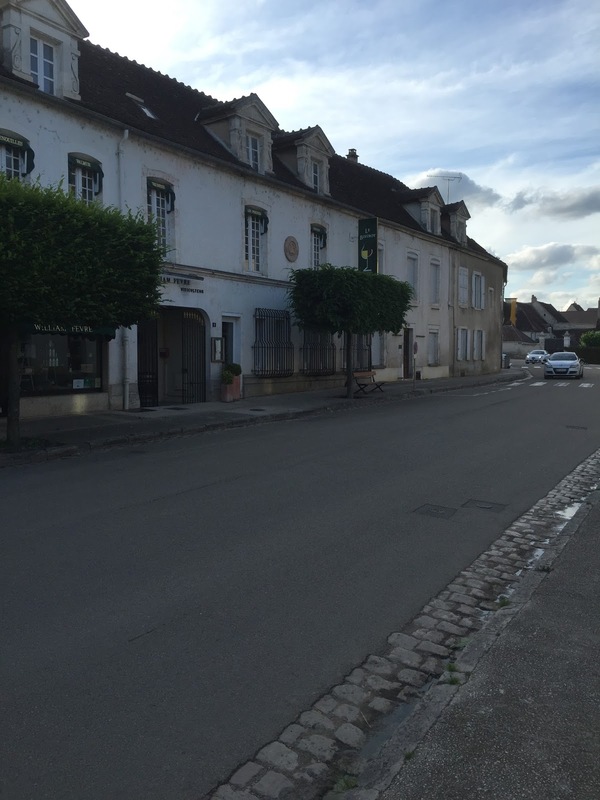 Hostellerie des Clos in Chablis is particularly nice accommodation that is easy to recommend. Chablis (the town) is tiny. But cosy tiny though. I stayed at the Hotellerie last time there as well!